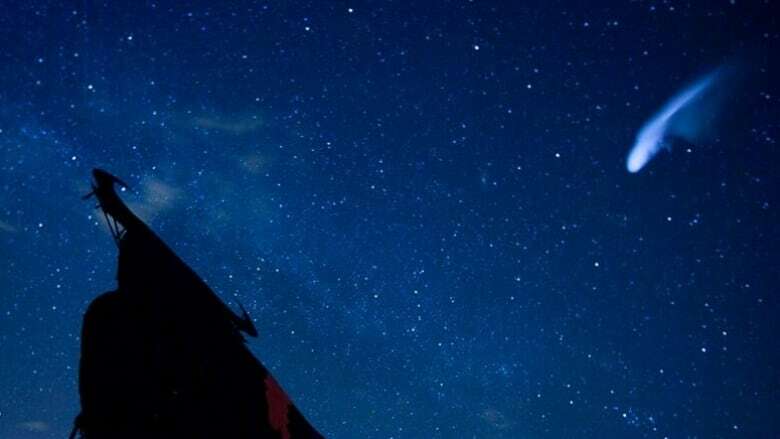 The warm summer nights offer lots of opportunities for gazing up at the night sky — and people don’t need an expensive, complicated telescope to see some fascinating sights, says a UBC astronomy professor. The warm summer nights offer lots of opportunities for gazing up at the night sky — and people don't need an expensive, complicated telescope to see some fascinating sights, says a B.C. astronomer. "The nights may not be as long, but they're more comfortable so it's a perfect time, once the sun has gone down — even if you just wander out from the backyard if you live in the city — there are still enough bright stars and the occasional meteor …. that you will see against the city lights," said Jaymie Matthews, a professor in the department of physics and astronomy at the University of B.C. Both planets can be seen at this time of the year, but both are fairly low in the sky. Mars, which will look orange-red, can be seen about 12 degrees above the horizon, and Saturn is about 18-20 degrees above, Matthews said. "Whenever I get to show Saturn to somebody for the first time through a telescope, it's one of those jaw dropping moments where people are actually skeptical when they first see it through a telescope," he said. "It looks like a glow-in-the-dark sticker. They think that we've put something hanging in front of the telescope mirror or lens." "So that's one of the great satisfactions of experiencing the night sky directly, and you can do that even with a pair of binoculars as long as you have a steady hand or a tripod, or a small telescope. 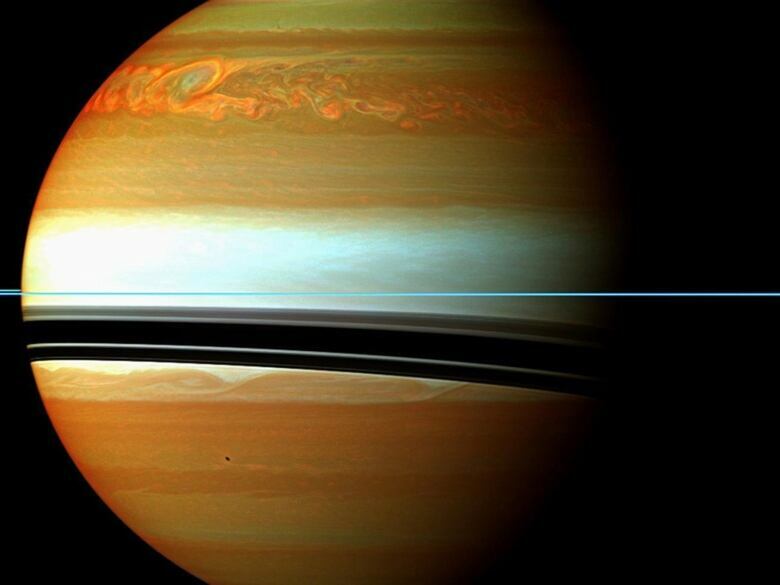 You don't need to have one of the largest most powerful telescopes in the world to have that kind of awe-inspiring experience with Saturn." 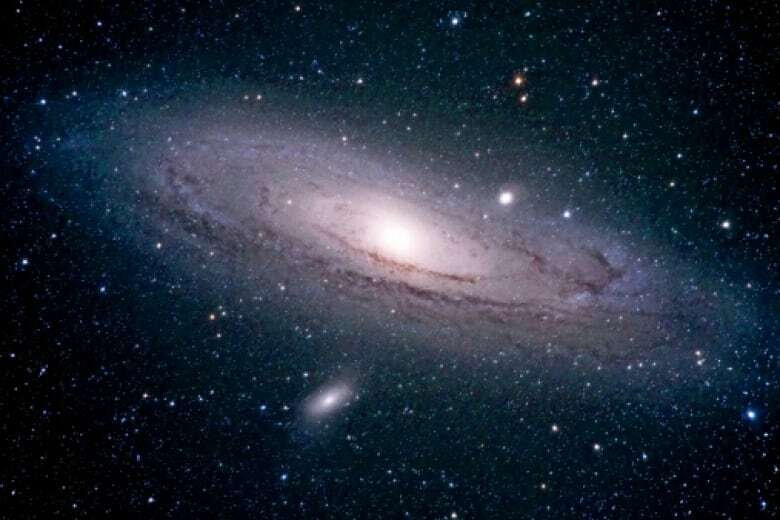 The Andromeda galaxy can be seen over the summer months, and away from the city it can actually be seen with the naked eye. "In the early evening, soon after sunset, it will be up in the north-east and by one or two in the morning it'll be fairly high overhead," Matthews said. "It's the only galaxy that you can see from Canada with the naked eye." With binoculars or a small telescope the galaxy can be seen more clearly, but it will still be a "fuzzy blob of light," he said. But it is still very impactful when you think about how far away the galaxy is, Matthews said. "You're seeing light from hundreds of billions of stars, but also light that has been travelling to your eye for over two millions years," he said. "It doesn't have to look like the climax of a Star Wars movie to have that kind of resonance with you. It's that understanding I think that makes it such a great experience." Another highlight in the night sky during the summer is the Perseid meteor shower, which occurs around August 11 and 12. This is when the earth is moving through a stream of dust left behind by a comet, Matthews said. He said that typically, one might see four meteors in an hour, but in the case of the Perseids that increases to about 60 an hour. 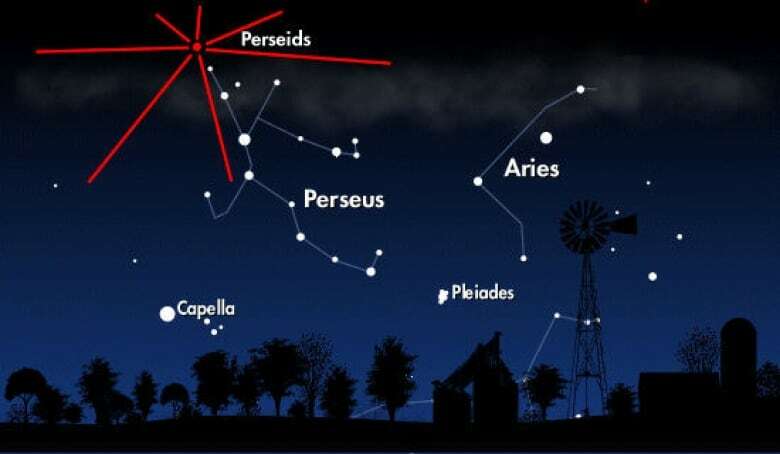 The best time to see the Perseid shower is just after midnight on Aug. 11, he added. "You don't have to be too patient, too alert, just be … lying flat on the ground on a blanket, cuddling with your favourite person and your favourite beverage, and you are guaranteed to see meteors," he said. "You will certainly see at least one fireball that will make you go, 'Wow!'"